Dolores, Doreen, Dawn, Stacy, Pat and Lois. 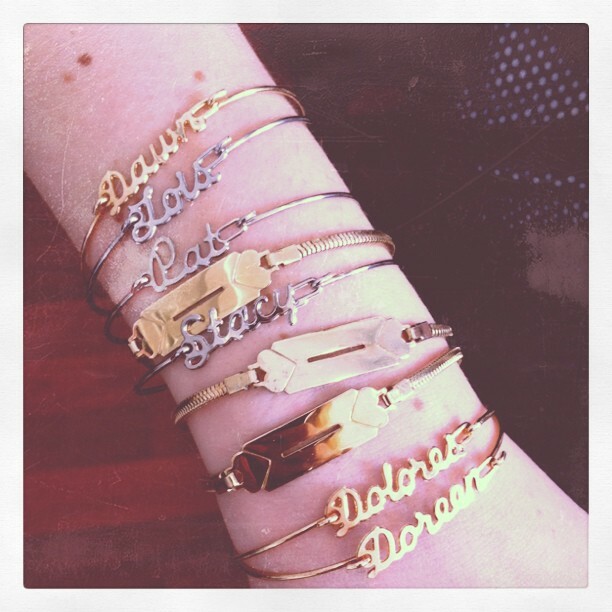 Bought these vintage name bracelets at the Of A Kind sample sale and wish I had bought more. The three brass bracelets with the little hearts are from an eBay lot I bought, 7 for $6.50.